Valentine’s Day is coming and to celebrate I am joining up again with several other bloggers to offer you a chance to win a $500 gift card for our Stitch Fix Valentine Giveaway! I’ve been receiving Stitch Fix boxes in the mail for almost two years now and my teaching wardrobe has been completely updated thanks to this amazing service! They also have an iPhone app so you can get a sneak peek at some of your items before they arrive, change your style profile, or checkout! 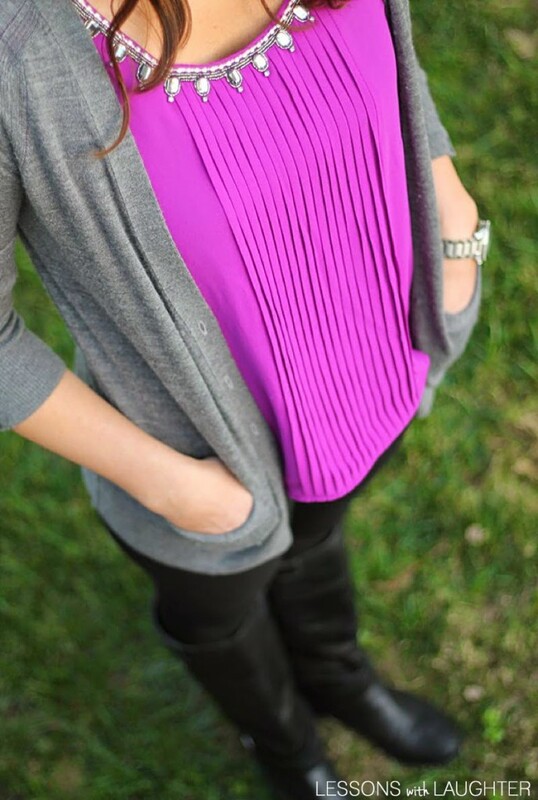 For the month of February I am wearing all my favorite pink and purple Stitch Fix tops, like this Nat Embellished Neckline Blouse! I’m partnering with these fabulous bloggers to bring you this giveaway! Be sure to check out their blogs!